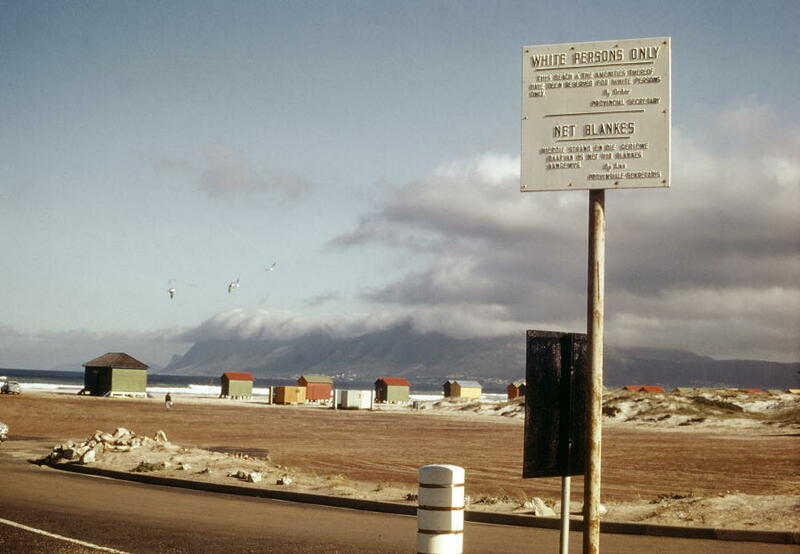 A beach for Whites only near the integrated fishing village of Kalk Bay, not far from Capetown (1970). Image credit KM via UN Photo (CC). 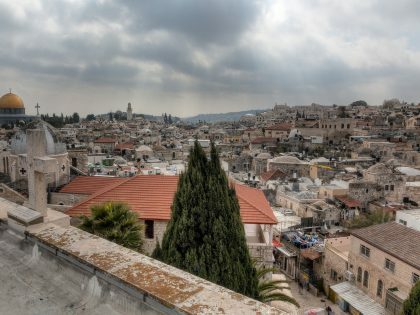 The Israeli state and its supporters frequently accuse its critics of being motivated by antisemitism, and although they usually concede that it is not inherently antisemitic to criticize the country, recent controversies have proven that it is quite difficult to draw precisely where the line begins and ends. One extremely popular method for delineating the borders of acceptable criticism of Israel is the “Three D’s of antisemitism,” also known as the “3D test” developed by its one-time Minister of Internal Affairs, Natan Sharanksy. This framework evaluates criticism of Israel against three “D’s”: demonization (when “Israel’s actions are blown out of all sensible proportion”), double standards (when Israel is “singled out” or criticism is “applied selectively”) and delegitimization (when “Israel’s fundamental right to exist is denied”). If a critical statement meets any of these criteria, then it is determined to be antisemitic. The “3D test” has been promoted by the likes of the US Anti-Defamation League as a simple way to distinguish “anti-Israel” criticism from antisemitism, but it falls short in at least one important way: its standards can easily be applied to the discourse surrounding countries other than Israel. In fact, the “three D’s” mirror complaints made by supporters of apartheid South Africa in the 1970s and 80s, who also believed that their country was subject to unfair criticism. A brief overview of pro-South African propaganda reveals comparable accusations of demonization, double standards, and delegitimization. Far from providing a reliable tool of analysis, Sharansky’s “3D test” merely codifies the same rhetoric that was used to defend apartheid South Africa, turning the language of pariah states into supposed evidence of antisemitism. In fact, South Africa’s supporters frequently complained that the country was being depicted from an entirely negative and one-sided point of view; they blamed the “biased” and “liberal media” for uncritically repeating disinformation from “terrorists” and Soviet Union “puppets” like the African National Congress (ANC), and for convincing the public that apartheid was uniquely evil. Supporters argued that biased media coverage had triggered emotional responses at the expense of rational analysis, poisoning the possibility of constructive debate. John Shingler, a professor at McGill University who was also a director of an elite pro-South Africa group, wrote that campus debates around South African divestment were “unbalanced,” “one-dimensional,” and “wholly negative.” The result was that South Africa itself had become tainted as a country (and not just its policies), which had two main effects: the tone of the debate had become “abusive” and “shrill,” and it had become impossible to take a “moderate” position or to oppose sanctions without being accused of being “racists” and “fascists.” By demonizing South Africa, any association with the country had become toxic. South Africa never had an argument that was exactly equivalent to Israel’s “right to exist”—that is, its supporters did not claim that white South Africans had a positive right to maintain ethnocratic control over the state, per se. Nonetheless, they argued that the demands of the anti-apartheid movement would lead to the violent overthrow or destruction of South Africa itself, and as such posed an existential threat. In this, the pro-South African lobby mobilized an implicit idea of white self-determination as threatened by African and Marxist barbarism. This is only a small sample of the arguments advanced by supporters of apartheid South Africa, who insisted that criticism of the country was unfair in a manner consistent with allegations of demonization, double standards, and delegitimization. This suggests that the “3D test” for distinguishing criticism of Israel from antisemitism is fatally flawed: in effect, it bundles together a number of rhetorical strategies that are not unique to Israel but have been used by other pariah states to justify their own oppressive practices. These strategies are, in essence, claims about a lack of fairness, and they are likely to be advanced by any country facing significant criticism. Using these tired and repackaged arguments as a weapon against Israel’s critics will not contribute to the fight against antisemitism, but rather undermine human rights activism. The “two state solution” for Israel and Palestine will be the culmination of the same political vision that motivated apartheid South Africa. 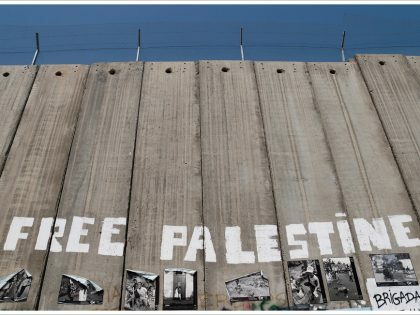 Eleven scholars of South Africa reflect on the analogy between apartheid South Africa and contemporary Israel. And no, the comparison is not antisemitic.